At Riverview Dental, we treat our Sioux Falls families like our own. We get to know each of our clients, give them preventative care, and ensure everyone of all ages has a memorable and comfortable experience that leaves them smiling bright. It is no accident that Riverview Dental has a reputation throughout the Sioux Falls region as an excellent family dentistry. For children, preventative education and dental care is vitally important for developing teeth, which is something we focus on with compassion and understanding. We help children of all ages with that natural fear of the dentist by walking them through each step of the prevention procedures that we undergo and establish routines to keep them at ease throughout the process. 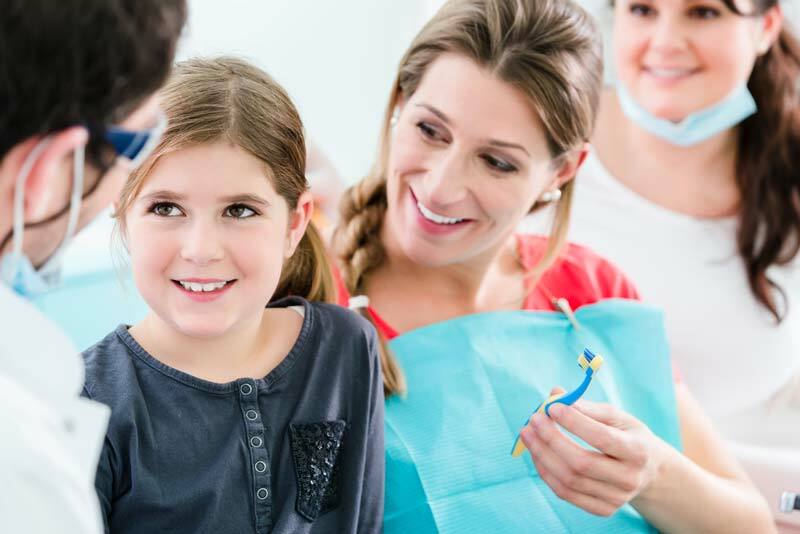 Our work in the field of child and family dentistry establishes the basis for your family to have and maintain good dental hygiene, strong teeth and positive brushing and flossing habits for years to come. As you and your family members reach adulthood, dental care may not seem as important as it did when they were younger. Many families overlook the importance of regular x-rays and cleanings as a form of dental prevention until it is too late. At Riverview Dental, we’ll send you appointment reminders and information so that you never let your family’s oral health slip into the cracks of your busy family life. With excellent services like sealants and dental implants, referrals for orthodontia and routine services, Riverview Dental is everything your family could ask for in a caring and compassionate team of family dentists.